There are two massive tasks planned for July. This is the month with the best weather, 24-hour-a-day sunshine and the warmest temperatures (sometimes even exceeding 10 celsius). 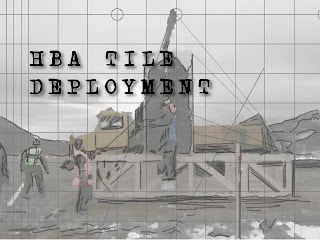 During this month the HBA tiles will be deployed and then they will be cabled up. This is also the month when the largest part of the workforce will be on the site. 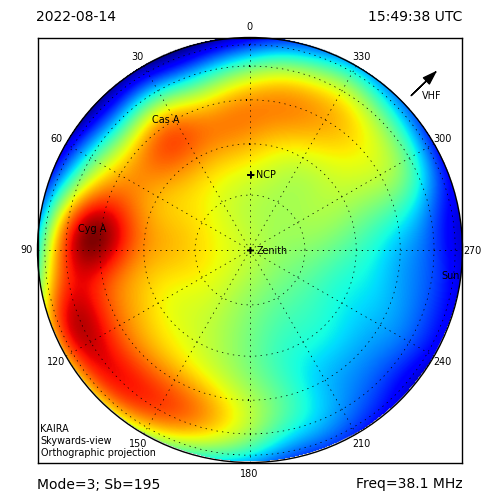 The HBAs are deployed in a semi-sparse pattern. Although we have a final design in mind, this will not be confirmed for certain until the end-of-winter test evaluation has been completed. 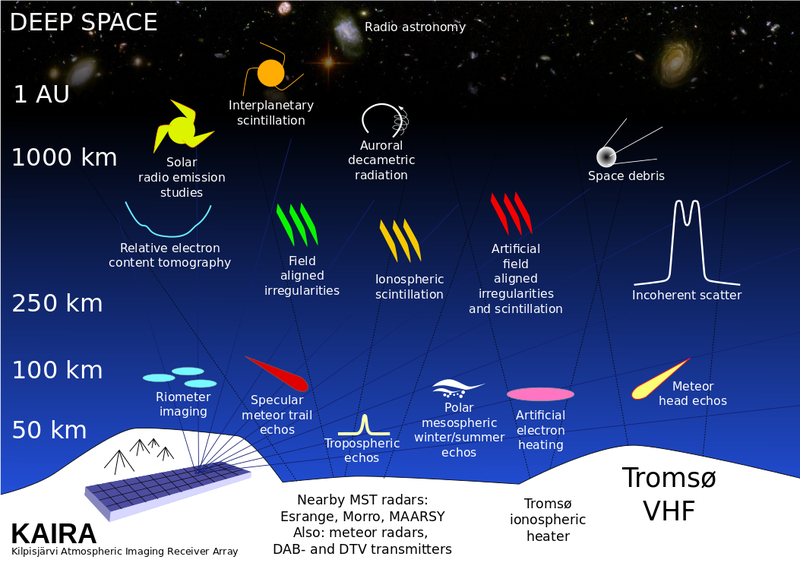 In any case, the pattern will be in small groups of antennas, oriented towards the VHF Tromsø transmitter, and set so that they are compatible with an upgrade to a full international LOFAR station HBA field. Although there are only 48 HBA antennas, the plan is one day to expand this to the full 96 tiles (+1 dummy tile). The KAIRA project still has a full LBA (96 aerials) and RF-container, but there is a smaller HBA installation in the first instance. Additionally, the HBA will be built on a raised platform. This is for a number of reasons. Firstly, it assists in snow control. Drift snow can be a problem, so by raising the antenna field, it allows the wind to blow snow and thus help clear the array naturally. Additionally, it decouples the tiles from the ground, thus giving us a lot more flexibility with the drilling of anchors for the framesets. Finally, it lets the cabling be done above the ground which, apart from protecting the cables from the frost, makes installation and repair access so much easier. The frames are 1.5 metres high. As the tiles themselves are 0.5 metres high, this puts the top surface of the HBA approximately 2 metres above the ground. In order to deploy the HBA, the framesets need to be assembled from their component frames. They are then lifted into place, as per the precision surveyed marker pegs from the array layout survey. They are anchoured to the ground and each other to form the secure platform for the HBA tiles. 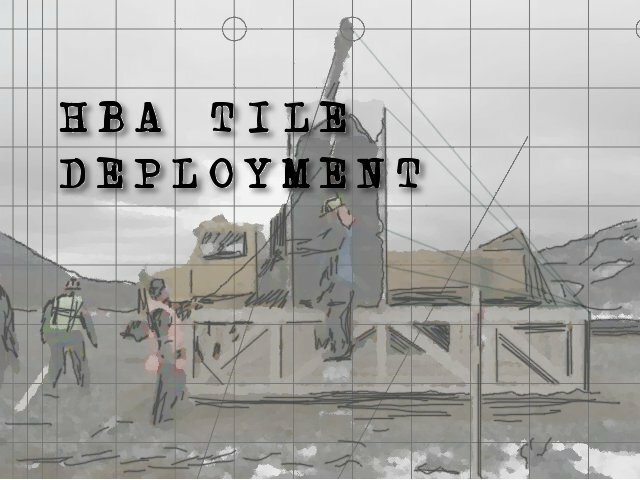 Once each frameset is in place, the HBA tiles themselves can be deployed. The tiles are delivered by lorry to the storage area on the site. They are then moved by all-terrain forklift to the unfolding area, where the packaging material and securing harnesses are removed, the tile is unfolded and fitted. The tile is then lifted by crane onto the frameset, where it is anchored into place and the cover is applied. This procedure is repeated until the total deployment is completed. Once the HBA tiles are in place, the cables can start to be connected. There are a pair of cables for each tile. They run back to the RF-container where they are connected to a patch panel. Each cable is a coaxial-type and will carry the RF signal in one direction and power and commands in the other direction. Because it is important to control the cable lengths for the LOFAR radio telescope, each cable is made to a specific length. And to ease the manufacturing process, these lengths are standardised to a small number of set lengths. Because of the positions of the HBA tiles, there can be several tens of metres of excess cable which needs to be carefully zigzagged back and forth before the remainder of the cable goes into the RF-container. Typically, this is done underground; cables on all LOFAR stations are buried. However, for KAIRA, the cables must be kept above the surface due to the agressive ground freezing. Thus rather than excess cable length being stored in a 'cable grave', it is instead stored in a raised box — the so-called 'cable mausoleum'.